A heartbreakingly large number of them have lost their lives in service to that oath, and we remember them today. 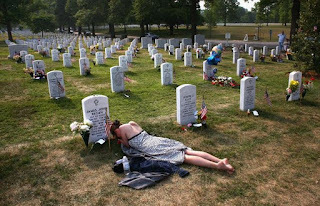 It seems to me, that we can further honor their memories, by attending to what they pledged their lives to defend, from all enemies, foreign and domestic, bearing true faith and allegiance to, the Constitution of the United States of America. Remember those who lost their lives in service to this nation. Honor them by remembering, and preserving, what they died defending. I urge you to read the entire essay, it is not long (much shorter than most of my posts), and remember, especially today, that as the ideas within it have proven to be worth dying for, they should also be worth living for.